Home VgamerZ OpinionZ What Does Tembo Mean for Game Freak? What Does Tembo Mean for Game Freak? 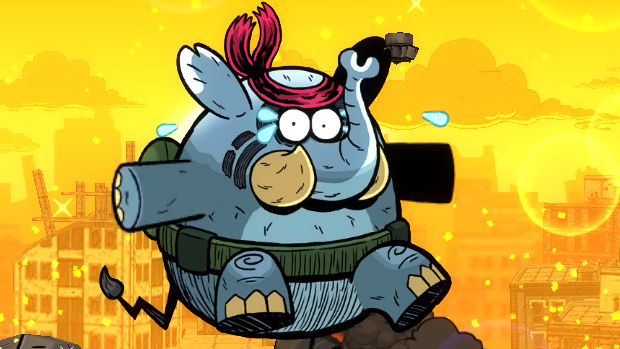 The newest game being developed by Pokemon developer Game Freak is certainly a strange one and not just because it stars an elephant in commando gear named Tembo. What’s strange is that the game is being published by Sega and that it will be releasing on PC, Playstation 4, Xbox One, and NOT the Wii U. Obviously, something is going on between Game Freak and Nintendo, but what it is exactly is anyone’s guess. It’s possible that this is just a one-time fluke that will come and go without any long-term impact. Conversely, this could be the beginning of the end for Game Freak’s long partnership with Nintendo. Of course, that raises the obvious question of why Game Freak would potential break away from Nintendo when their current relationship has been so profitable for the last nineteen years. One possibility is that Game Freak simply wants creative freedom with this title that they couldn’t obtain through Nintendo. Perhaps Nintendo wasn’t too keen on the cartoon violence that the game presents or the fact that there is a curse word in the game’s official title. Maybe the game is expected to be larger than the Wii U download service is able to support. Maybe Nintendo insisted on rebranding the game with Pokemon characters and Game Freak is tired of working off of the same property so many times and is just looking for a change of pace. The more extreme possibility is that Game Freak is tired of working with Nintendo altogether and this is their first step towards breaking away from them. While milking the Pokemon franchise for years to come would be the wise choice from a financial standpoint, that kind of repetition is torturous for creative minds. It’s only natural that the members of Game Freak would want to experiment in new ways and take chances that Nintendo would be against. Now, Game Freak has worked on non-Pokemon games since the series has had its explosion in popularity, such as Drill Dozer and HarmoKnight, but none of them have caught on like the collectible monsters craze. Admit it, how many of you had even heard of either of those titles before I brought them up? Nintendo may have given up on Game Freak’s side-projects and the only way something like Tembo or any future titles outside of the Pokemon series will see the light of day is through collaborations with other publishers. Game Freak may even decide that these passion projects are worth more to them than the fortune that the Pokemon series is making them. If that is the route that they decide to take, it is certainly a risky one. Time has shown that the Game Freak brand is not as financially successful as the Pokemon brand and focusing on these more experimental endeavors could be enough to sink the company. That’s an extreme possibility, but it simply isn’t likely that Game Freak can make lightning strike twice. Depending on who they build a new partnership with, their success could rely entirely on that as Game Freak’s reputation leads the publisher to overhype their first outing in ways that they can’t deliver on. As nice as it would be to have optimism in Game Freak’s ability to stand on its own, there is plenty that could go wrong with a departure from Nintendo. This is especially risky considering that they would no longer have the Pokemon series to fall back on at that point. Before you think that there is any chance of Game Freak pulling the Pokemon license away from Nintendo, know that there is absolutely no chance of that happening. Nintendo owns a majority share in Game Freak and The Pokemon Company and is already being pretty generous in allowing Game Freak to pursue this partnership deal with Sega in the first place. However, Nintendo would never allow one of their most successful franchises to slip away just because Game Freak wants to break it off. Nintendo let Rareware keep the rights to most of its franchises when it was sold to Microsoft, but they made sure that they still owned Donkey Kong and Star Fox in their entirety. If Game Freak has any desire to part ways with Nintendo, then they would have to sacrifice the rights to Pokemon to them in order to make that happen. Expecting Game Freak to have any chance of getting out of such departure with Pokemon intact is like thinking that Bungie had any chance of keeping Halo when they broke off from Microsoft. As a side note, I’d like to mention that Game Freak’s decision to partner with Sega for this endeavor is unlikely to be any sort of jab at Nintendo. Whatever rivalry the two companies had was buried years ago. It’s more likely that Game Freak turned to Sega because the two actually have a history together. Prior to the creation of Pokemon, Game Freak developed a game titled Pulseman for the Genesis/Mega Drive that was published by Sega. That history is likely why Game Freak turned to Sega for Tembo. There is a lot worth speculating on with the Tembo’s announcement, but only time will tell what will actually become of the relationship between Nintendo and Game Freak. Maybe Game Freak will decide that it’s time to leave Pokemon and Nintendo behind. Maybe their just exploring new possibilities and nothing will really change in the grand scheme of things outside of seeing odd concepts like Tembo pop up every now and then. What are your thoughts on the possible future of Game Freak? Are they better off playing it safe or taking a risk on what they love to do? Leave a comment below and let us know.